My goal is to make our partnership as effortless and enjoyable as possible and am honored that you are considering me as your photographer. Your wedding day is one of the most important days of your life, and being the one to capture the images that tell your unique love story is my privilege. My objective is to capture your wedding in a beautiful and genuine way. So beautiful, you'll want to wallpaper your home with the images! 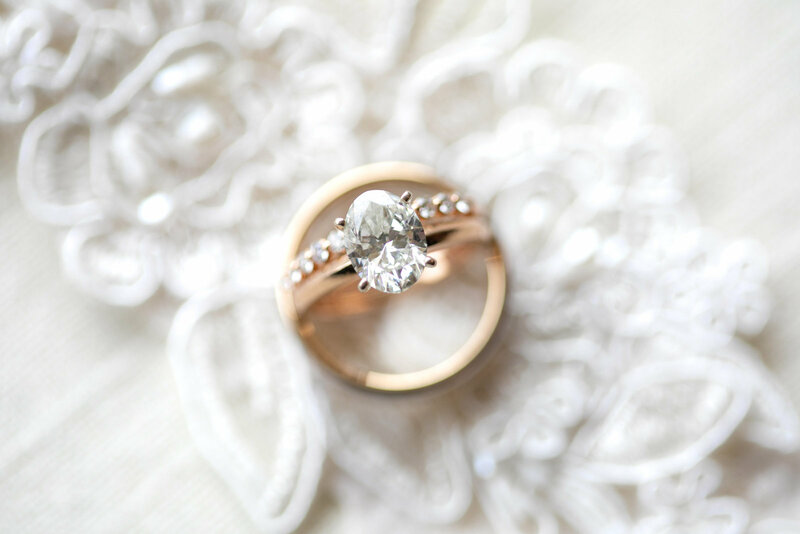 So genuine you'll love flipping through your wedding album to relive the memories again and again. I believe the ability to capture beautiful and genuine images are the result of a positive interaction between a couple and their photographer and that is what I strive to create with all of my couples from our very first meeting. Is a wedding album an investment? Yes it is. But I promise, it's an investment that you won't regret making. 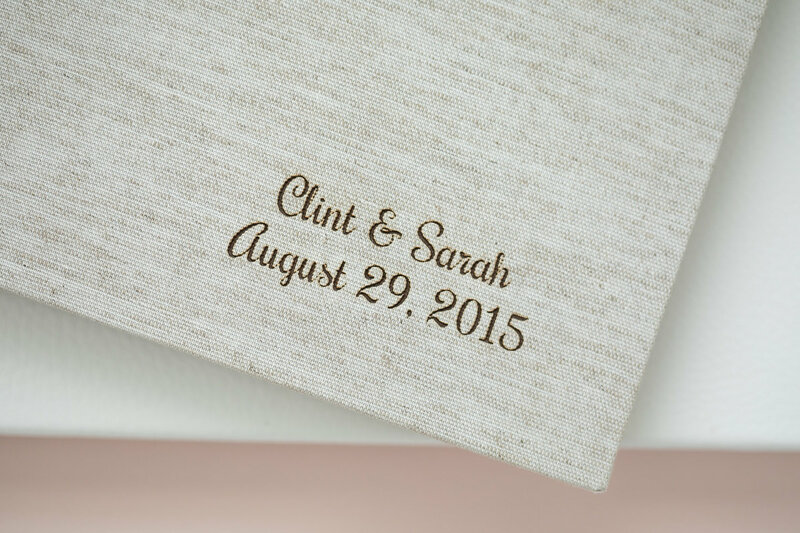 A wedding album takes your photos out of the digital world and puts them right on your coffee table or bookshelf! 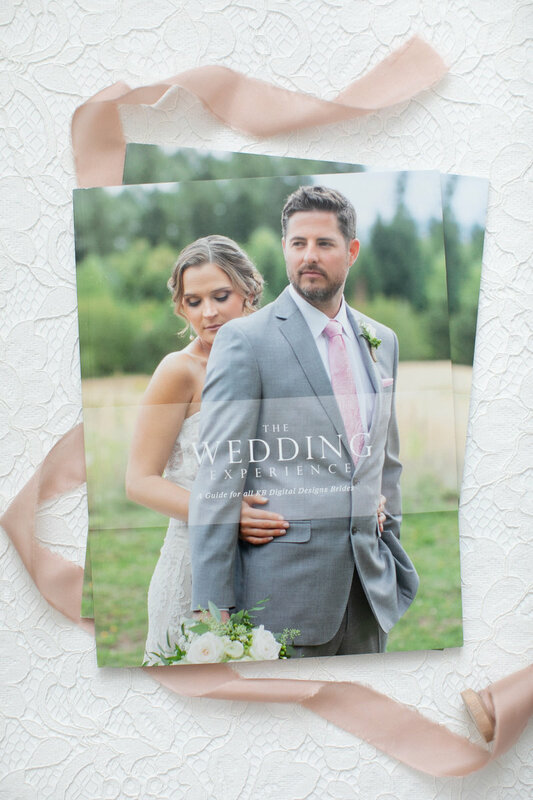 A wedding album is not just a bunch of pictures assembled into a book -- it's a beautifully designed record of your distinct style and the unique touches which made your day a true one-of-a-kind. It not only shows off the gorgeous details but also tells your story in a compelling manner. 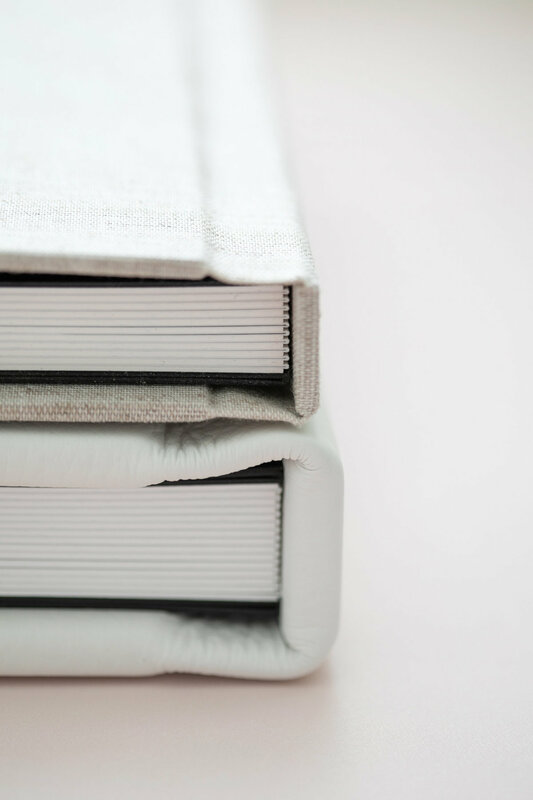 Consider your album as your first family heirloom -- one that makes your photos more accessible, helps you connect with your spouse during rough times, and becomes an enduring treasure for future generations. 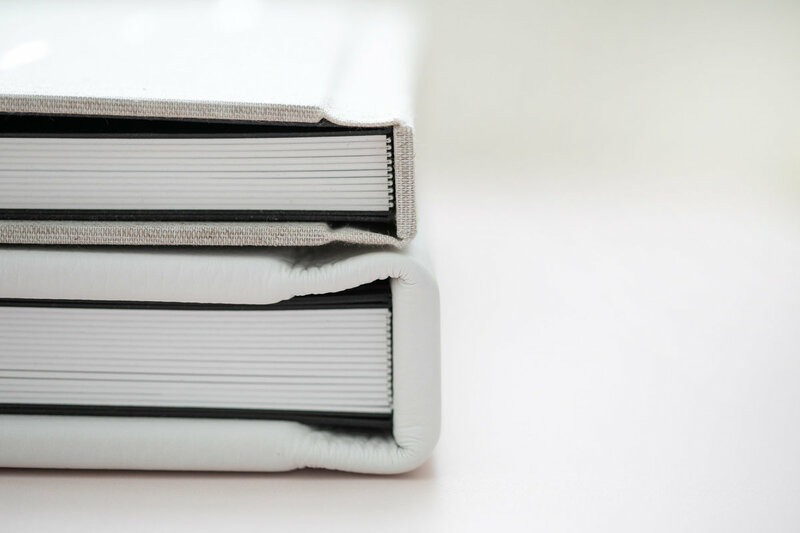 Keepsake albums are a piece of art in themselves, and the quality is amazing. I personally curate your favorite images and design your first draft. 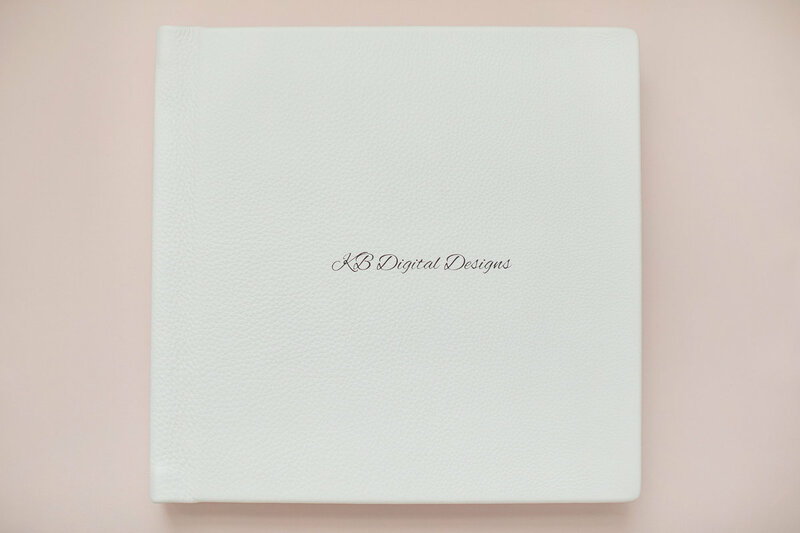 After your feedback and revisions the albums are handcrafted right here in the U.S. in your choice of leather or linen and include a lifetime guarantee. 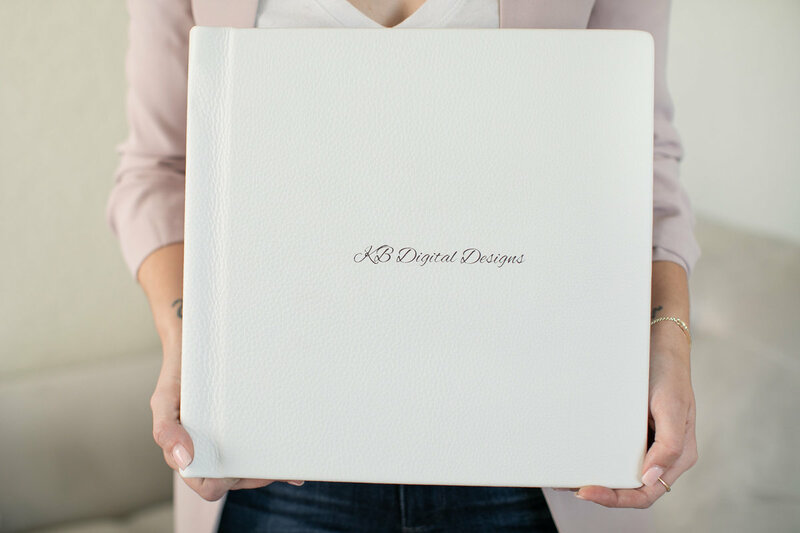 Immediately after booking my services you'll receive my 72 page bridal guide designed to help provide valuable information as you continue to plan your big day. Specifically, the content revolves around what to expect from me as your photographer, how we'll partner together for the best overall experience, and tips and tricks that will minimize wedding day glitches and most importantly...allow you to enjoy your wedding day! Let's set-up a time to connect in person and chat about your unique vision for your day. We can flip through sample albums and get to know one another! After your consultation, I'll send over an easy-to-use online software that will allow you to review and sign the contract. Your date is officially reserved! Time to warm up and prep for the big day! We'll select an amazing location together and I'll direct you every step of the way. This is the perfect opportunity for me to really get to know the two of you prior to the wedding. Enjoy! We’ll have worked out all of the fine details prior to this point. I will direct poses as necessary to get those magazine-worthy images, and in-between, I'll step back and document the natural moments as they unfold, giving you those priceless candid images, too! Images are delivered 3 weeks following your wedding. I'll upload your edited images to an online gallery, allowing you to instantly view, download high-resolution files, and, the best part…share right away with your family and friends! After you get your gallery, we’ll work on the album design.